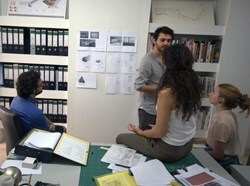 Practice Profile Kyriakos Tsolakis Architects first began in 1973 as K. Tsolakis & Associates in Melbourne Australia. Its architects opened the current practice Kyriakos Tsolakis Architects in Cyprus in 2008 where it has been steadily expanding its portfolio of work and is currently involved in a range of building types and scales. The practice works on cultural, residential and commercial projects providing full architectural, interior design and masterplanning design services for both public and private sectors.